Image Size 15 x 23 in. 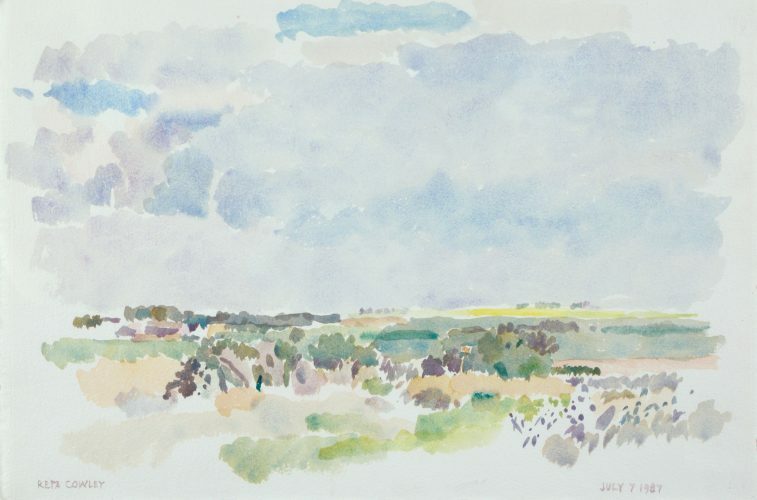 Reta Cowley (1910 – 2004) is regarded as one of Canada’s top watercolourists. She studied art under several generations of major teachers from the west: Augustus Kenderdine at Emma Lake in the late 1930s, Walter Phillips at the Banff School of Fine Arts in the 1940s, and Eli Bornstein at the University of Saskatchewan in the early 1950s. The Emma Lake Artists Workshop was an important influence on her in her early days and she remained an active participant through to the mid 1980s. In 1990, Reta Cowley was presented with the Saskatchewan Arts Board’s Lifetime Achievement Award and the Saskatchewan Order of Merit. She has had more than two-dozen solo exhibitions of her work, and her work is included in major museum collections across Canada.